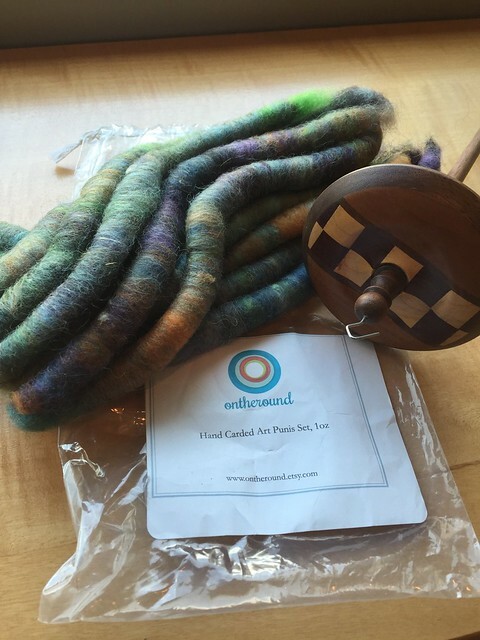 This year I decided to join The National NeedleArts Association‘s huge spinning event, Spinzilla. Basically the goal is to spin as much as you can in a week, this year from October 5 to October 11. 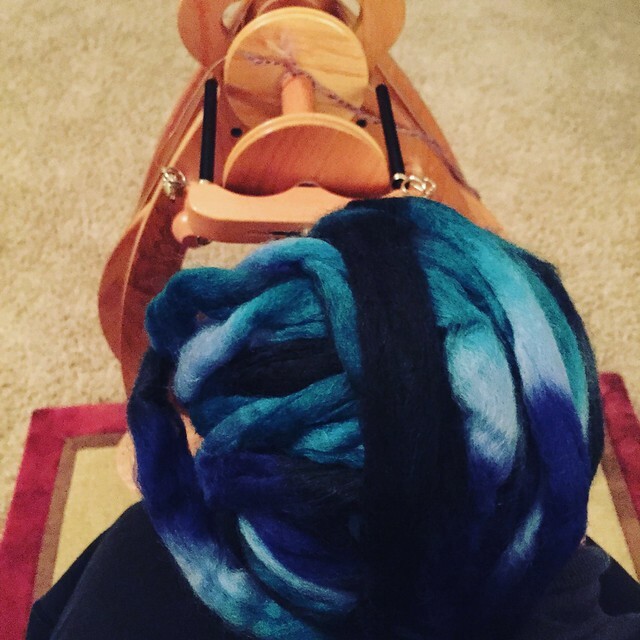 I eagerly joined Team Louet North America and pulled out my fiber to spin! On Day 1, October 5, I eagerly dug into the second half of the Louet Northern Lights in Ocean Waves that I used for my shawl design. 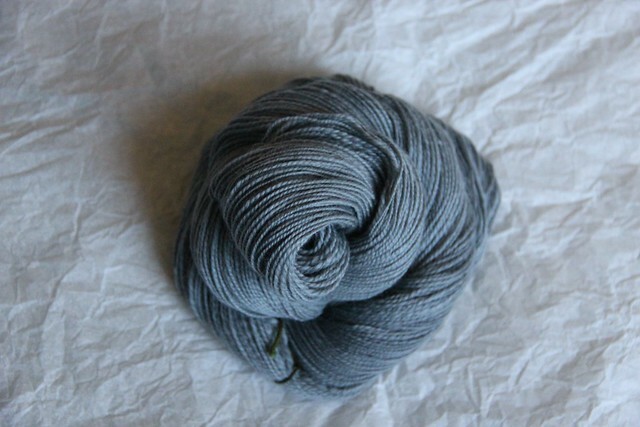 On Day 2, October 6, I plied up the Northern Lights and started on the Louet Merino in Quoddy Bay Grey. 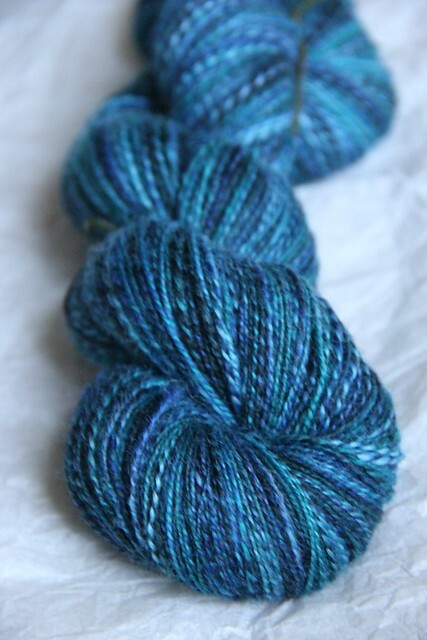 My first finished yarn was the Northern Lights in Ocean Waves. I ended up with 375 yards of a 2-ply yarn which yielded 1,125 “Spinzilla” yards (the yardage of the singles and the plied yarn). On the third day I pulled out my Kundert spindle and some punis from On the Round. I plied these singles on Day 4, yielding my second finished yarn. 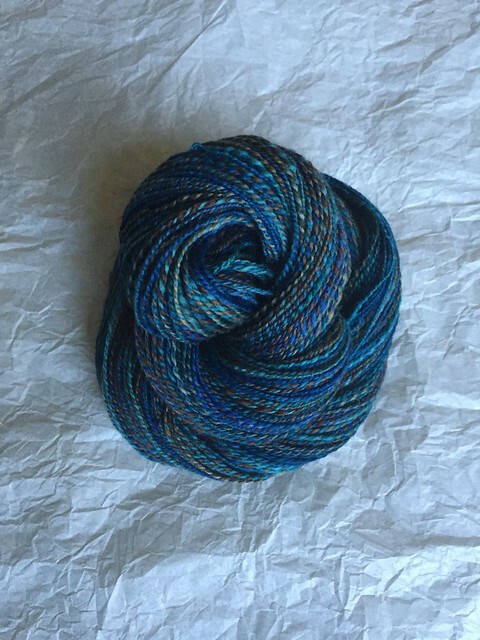 This is 103 yards of a 2-ply yarn (309 “Spinzilla” yards). 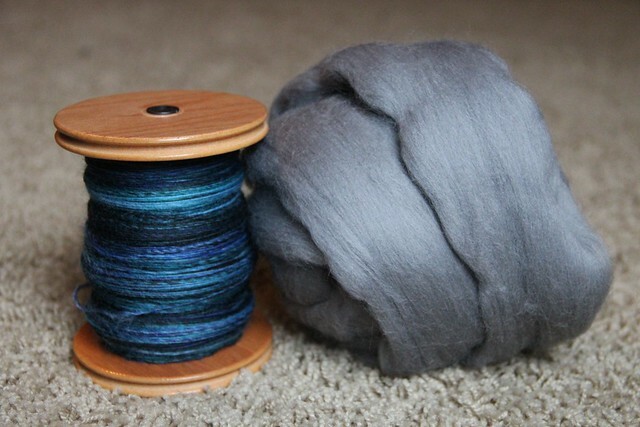 On day 4 I also finished spinning the singles of the Quoddy Bay Grey merino. On day 5, I plied the Quoddy Bay Grey and started spinning Southern Cross Fibre Bond/Silk in Lady Grey. My third finished yarn, the Quoddy Bay Grey ended up as 305 yards of 2-ply, or 915 more “Spinzilla” yards. 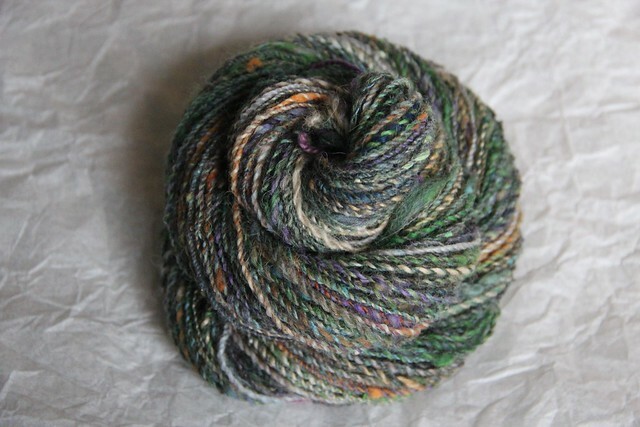 On the 6th day I finished the singles and plied the Lady Grey. I ended up with 376 yards of a 2-ply yarn, or 1128 “Spinzilla” yards. 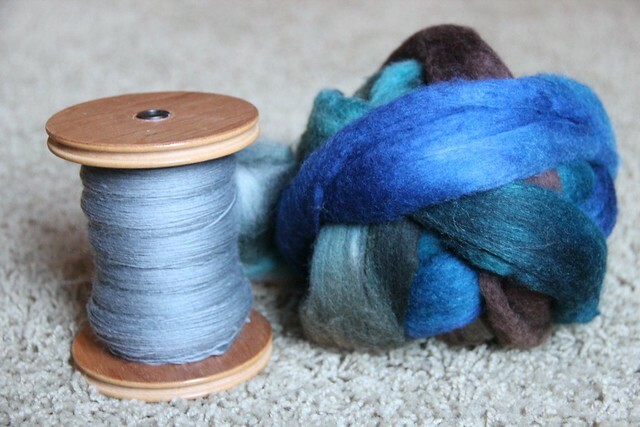 Unfortunately, I traveled on Sunday so I was unable to spin the final day of Spinzilla. 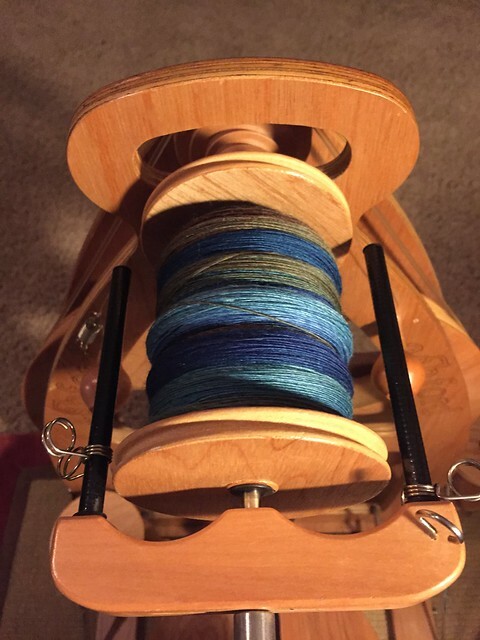 Overall I’m pleased with my amount (12.8oz/363g) and yardage spun (3477 total Spinzilla yards).